The 132-kilometer section of the state border of Azerbaijan with Iran has turned into an uncontrolled zone that delivers drugs to European and other countries, said Ali Hasanov, Vice-Premier, Chairman of the State Commission for combating drug abuse and drugs trafficking. 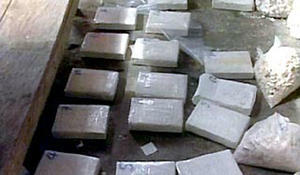 Iranian security forces have seized four tons of drug raw materials, also known as precursors for narcotic chemicals. Iran, which has recently made great achievements in the health field, is reported to open a production line for branded generic drugs licensed by European and American companies. 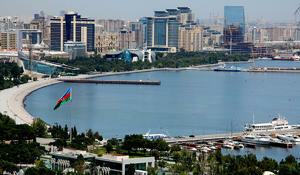 Combating crimes of human trafficking, abuse, robbery and embezzlement turned out successful in Azerbaijan, according to the Interior Ministry. 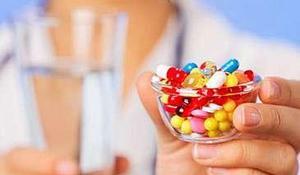 Counterfeit drugs are among the main scourges of our time. They can kill us as easily as they can cure us. Today, going to a pharmacy, no one is ensured that he or she will take original drugs. The Uzbek National Security Service destroyed 1.27 tonnes of drugs upon the government's instructions on June 26. Iranian border police discovered two tons of drugs this morning while several people tried to cross the Afghanistan-Iran border in Iran's Sistan-Baluchestan province, Mehr news agency reported.